Punkte Benötigt: 1550 Por favor, añade este título a tu Lista de deseos e Inicia sesión con tu cuenta My FedEx Rewards desde un dispositivo compatible. 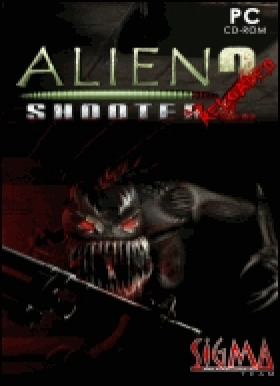 Alien Shooter 2 is a large-scale sequel to the first part of Alien Shooter. This is the unique alloy of arcade action and RPG elements which combines well-established world of classical games and unmatched dynamics of the first part.The player will find well-built plot line with several ways to pass, many additional quests, ability to choose and upgrade the character.about 10 000 monsters on each … map, showing up to 100 monsters simultaneously on one playing screen! natural phenomena (fog, rain, water); NPC characters; more than 50 types of weapons now you can not just kill but also burn, freeze and even diminish the enemies; more than 20 types of useful gadgets from flash lights, radars and medkits to battle drones; 3 game modes: Campaign, Survive and Gun Stand;System requirements.Operating system: Windows 2000 / XP / Vista Processor: 1.7 GHz Memory: 512 Mb Hard disk space: 600 Mb Free Space Video: nVidia GeForce2 / ATI Radeon 8500 or better video card with 64MB video memory Sound: DirectSound compatible sound card DirectX®: 9.0cLegal LinesCopyright © 2007-2011 Sigma Ltd. All rights reserved.